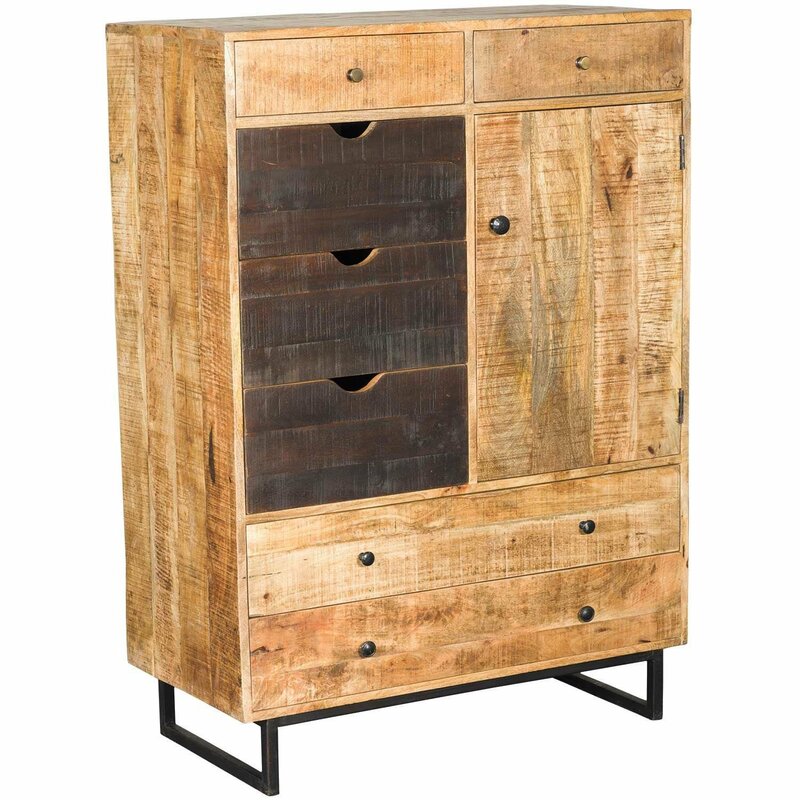 Bring a structural, vintage feel to your storage with the Vintage Industrial Door Chest by Shivam. Geometric metal legs create an architectural vibe, while the clean lines and distressed wood finish evokes the minimalist forms of mid-century modern style. A contrasting espresso finish on three drawers coordinates with a variety of metal pulls to finish the retro look. Bring a structural, vintage feel to your storage with the Vintage Industrial Door Chest by Shivam. 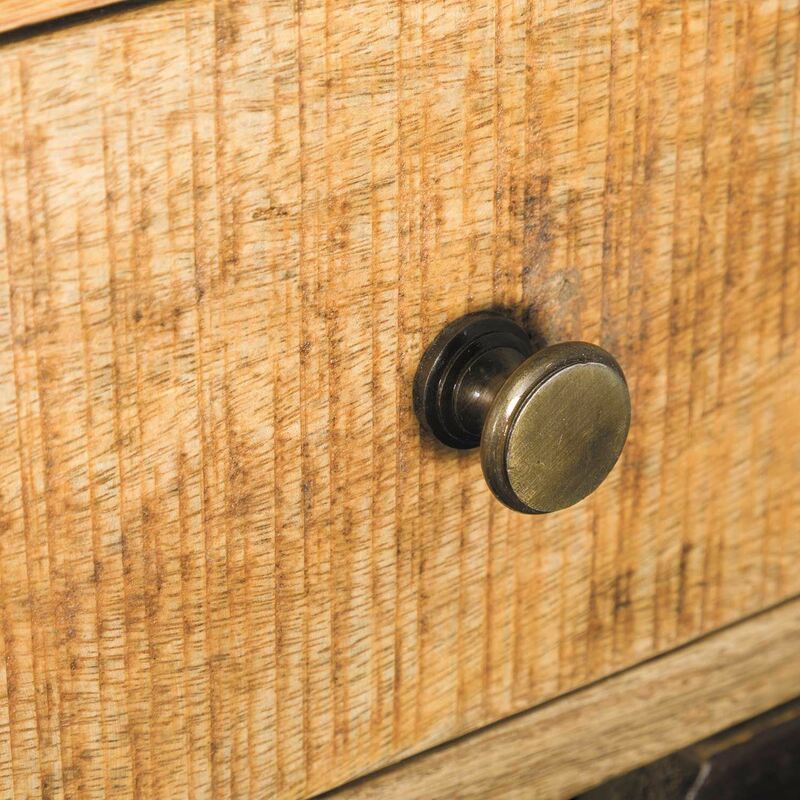 Vintage Industrial Door Chest by Shivam. Large chest includes nine drawers and one shelf behind door. 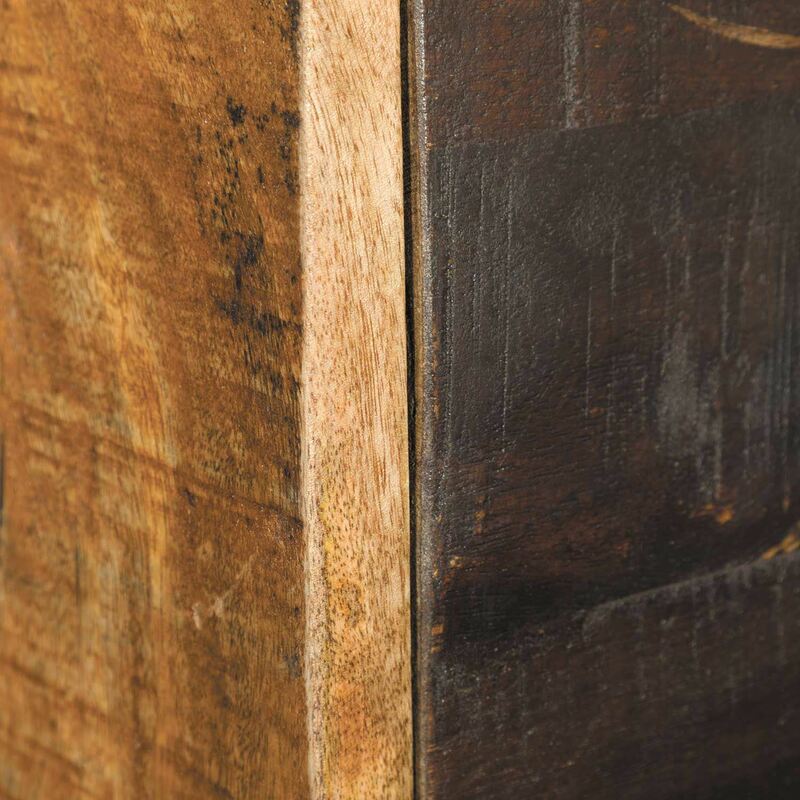 Solid mango wood construction with sturdy iron base. These items are uniquely hand-made. No two will ever be exactly the same.